Running with the new transfemoral sport prosthesis from Ottobock. Pure sport. Find your inner balance with the 3S80 Sport & Genium. There is a good news for above knee amputees who value an active lifestyle. The 3S80 Sport knee joint, 4R204 Sport foot adapter and 1E90 Sprinter carbon spring foot are a perfect combination for running enthusiasts, providing them with a custom sport prosthesis that offers high functionality and outstanding wearer comfort. Approved for a body weight up to 100 kilograms, it sets itself apart with stability and low weight. The powerful rotation hydraulics of the Sport knee joint was optimised especially for running sports and offers dampening characteristics in the swing phase tailored to master high stride rates. For safe standing before and after sports as well as warm-ups and stretching, the 3S80 Sport also has a manual lock. The resilient carbon spring foot is ideal for running sports as well. Depending on the weight and running discipline – jogging or sprinting – the spring is available in different stiffness versions. An especially developed sport foot adapter forms the perfect connection to the knee joint. Two sole types are available as well: the sole with the all-terrain profile for uneven ground and the spike sole for tartan tracks. The carbon spring foot is very resilient and provides high energy return. Available in various levels of stiffness and different lower leg lengths, the prosthetic foot is available according to your individual body weight and size. The sport knee joint features powerful rotation hydraulics to control the swing phase and an easy-to-use lock. The adapter connects the knee joint and carbon spring foot to each other. 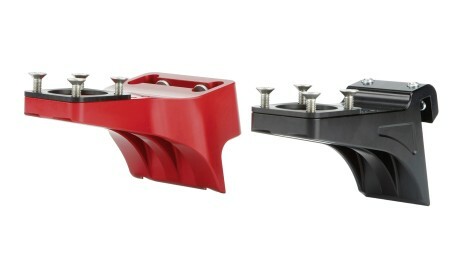 The red test adapter makes it possible to determine the optimum length and stiffness of the carbon spring while testing. 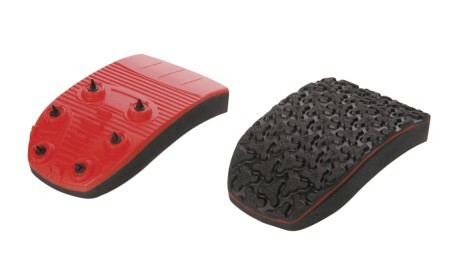 Two different types of soles can be installed on the carbon spring foot: A universal sole with outer sole tread and a sole with spikes for the tartan track. 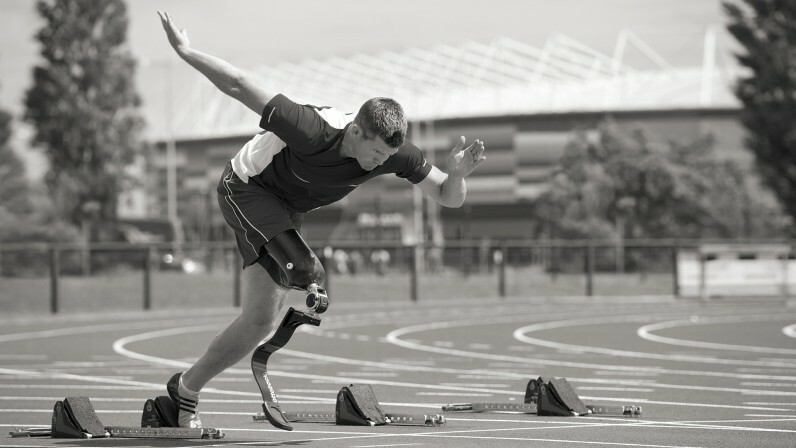 High demands are placed on a sport prosthesis. It has to be sturdy, yet also lightweight and compact. The knee joint needs to be able to withstand high loads because the forces acting on a sport prosthesis are greater during running than during walking. 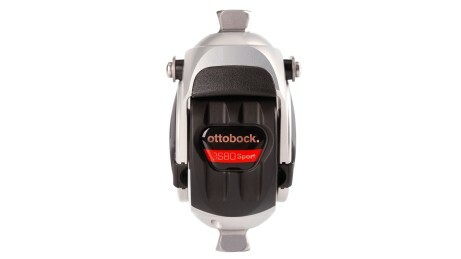 The 3S80 Sport knee joint uses a modified form of the rotation hydraulics patented by Ottobock. As a result, it features special swing phase control that is optimally adapted to running. A thorough warm-up is important before you participate in sports. For many athletes, stretching is part of the daily routine, whether to protect their muscles or just to relax. This is why the 3S80 Sport is equipped with an integrated lock, which you can easily operate by hand. The 1E90 Sprinter carbon spring foot provides you with excellent energy return for dynamic running that requires less energy. It is available in six stiffness versions to accommodate your body weight. Flexible in application, the sport prosthesis is suitable for a variety of terrains, for jogging in the park or for a fast sprint on a tartan track. Two different types of soles are available and you can exchange them easily. 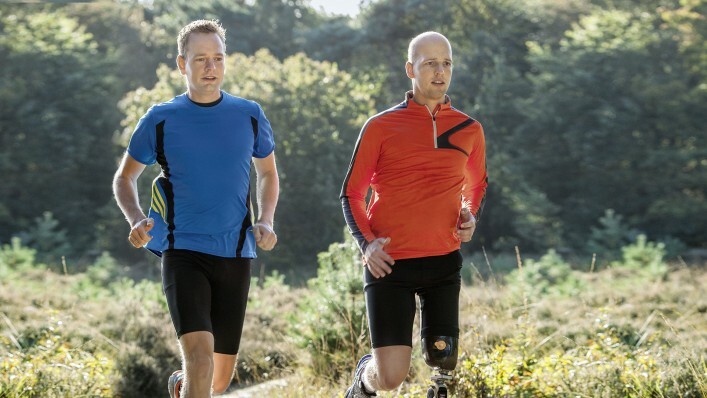 For jogging, sprinting, jumping or Nordic walking: With the sport prosthesis, you can fully realise your potential performance in activities of your choice. Various sports related to athletics and running are possible. 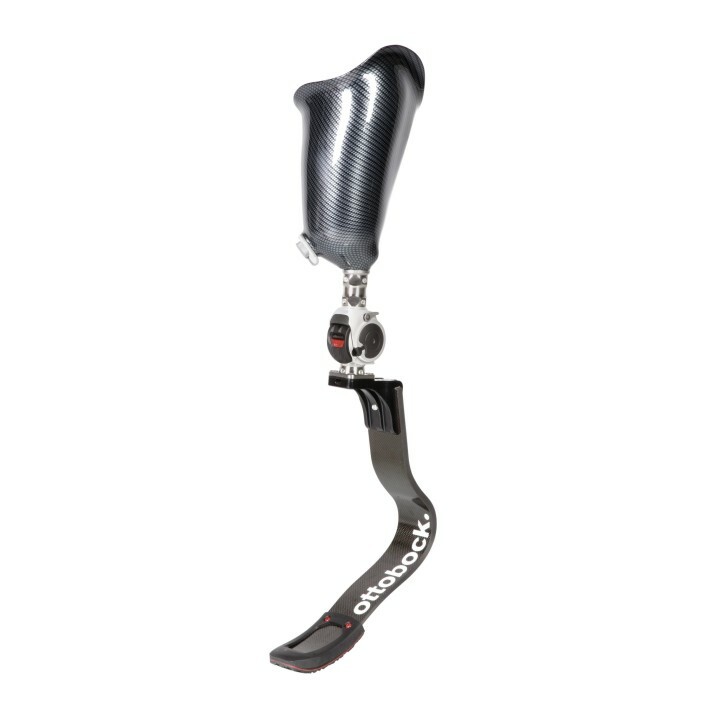 Who is the running prosthesis suited for? 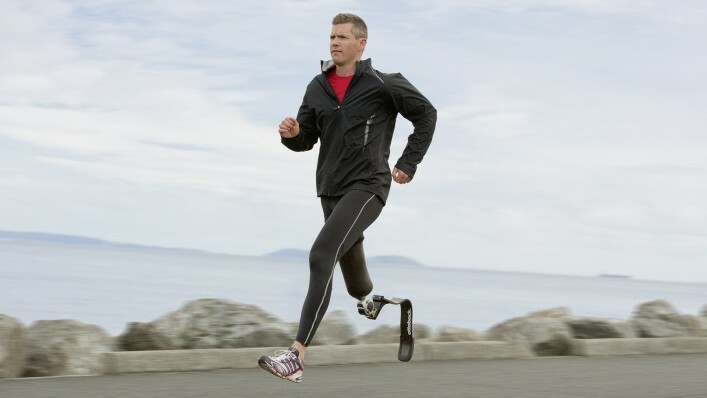 The running prosthesis is generally suited for all prosthesis wearers who want to participate in recreational sports. Above Knee amputees are fitted with the sport knee joint and the carbon spring foot, while below knee amputees can use only the carbon spring foot. 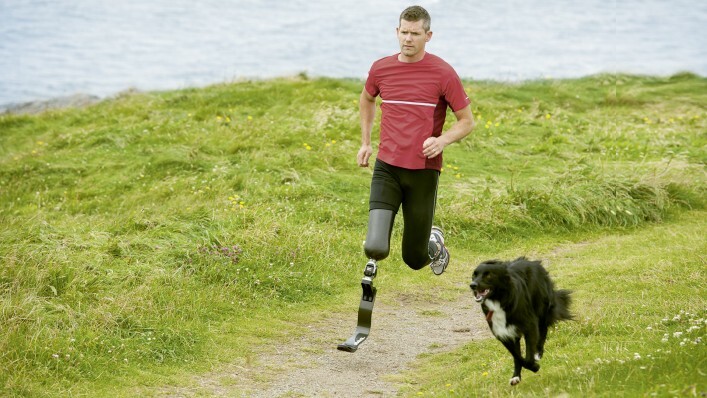 Amputees who just want to stay fit can also be benefitted from the running prosthesis. 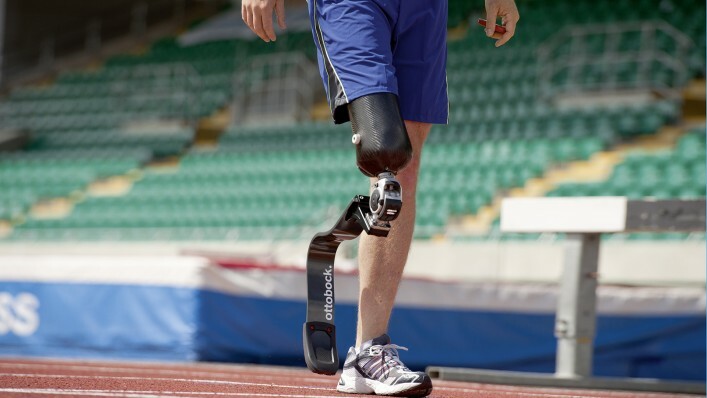 How do I get a running prosthesis? Talk to your Prosthetist – he or she will advise you in detail. Can I replace the soles myself? Yes, you can easily replace the soles yourself according to what surface you want to walk on. Can I just try out the sport prosthesis? Certainly. 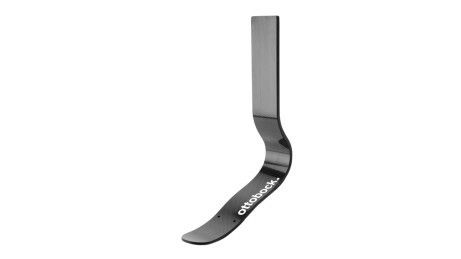 Please contact your Ottobock Prosthetist for further information.